Salesforce just reported non-GAAP earnings of $US0.14 cents per share on $US1.38 billion in revenue. Net loss was $US39 million, down significantly from last quarter’s $US61 million. The numbers came in ahead of expectations, but the stock was quickly off 4% on lighter than expected predictions for Q4 and next year’s revenue. Non-GAAP earnings don’t include stock-based compensation and certain other expenses. Analysts were expecting non-GAAP earnings of $US0.13 per share on $US1.37 billion in revenue. 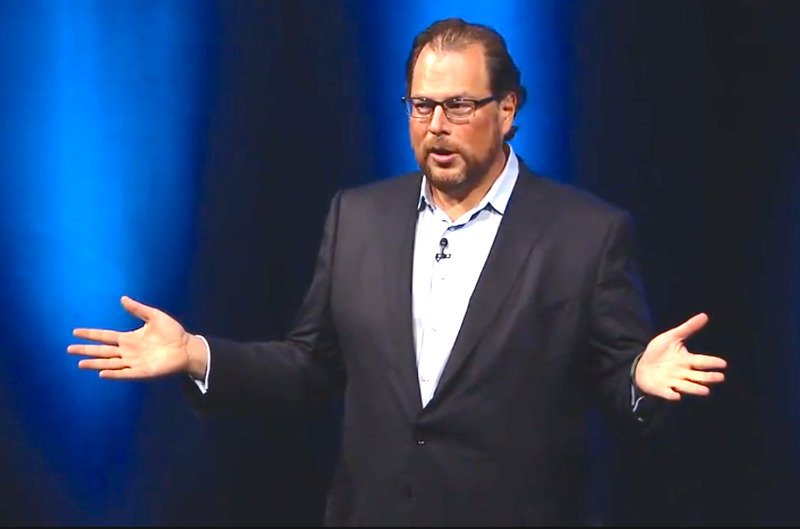 Salesforce said it expects revenue of $US6.45 to $US6.55 billion next year. Analysts had been expecting $US6.66 billion. The company is managing to cut its losses: This quarter, it lost only $US39 million. Last quarter, it lost $US61 million on $US1.32 billion in revenue, and a year ago it lost $US124 million on $US1.08 billion. The recent quarter ended October 31, 2014, but Salesforce counts it as the third quarter of its 2015 fiscal year. Salesforce is the prime example of a subscription-based software company, and some investors have been sceptical that it will be able to reduce sales and marketing expenses enough to deliver consistent profits.